Last night, the National Cycling Centre – Atlantic, in partnership with the City of Dieppe, was pleased to recognize its 2008-09 volunteer of the year; Mike LeBlanc. The annual ceremony took place at the Mathieu-Martin High school and no less then 37 volunteers from the community were recognized. In the past year, Mike has been very engaged on many fronts to contribute to the development of cycling in the community. He was very active as a commissaire for the famous Pepsi Cup where he earned the respect of the more then 175 young participants. On a personal side, Mike was also incredibly involved organizing a huge annual cycling fund raiser for Juvenile Diabetes; a cause very close to his heart. Most importantly, over the last 12 months, Mike rediscovered the passion that brought him to cycling in the first place: BMX. The task to reactivate BMX in a region where it was pretty much dead over the past 20 or 25 years is not an easy one, but Mike took it with a passion. 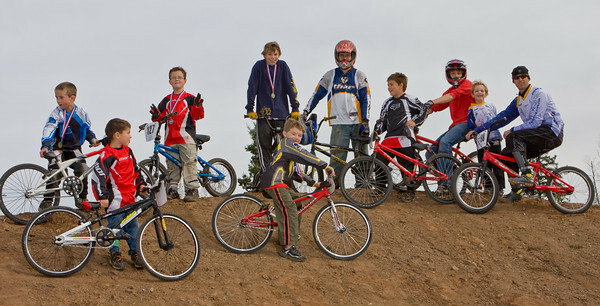 Week after week, he would show up at the new Subway BMX Track to share his knowledge with the kids. The education process is certainly not an easy one when you start from scratch, but the first generation of the Subway Track is in good hands. They say many volunteers take a lot of pleasure by offering their time. This is so true of Mike! When we saw him showing up at the Subway BMX track with such a smile on his face... there is no doubt, he’s there to also have some fun! Thanks Mike for your great contribution in the past years, and we hope for many more! The National Cycling Centre would also like to take advantage of the National Volunteer week to thanks its many volunteers who work real hard for the progression of our sport.